Road trips are virtually non-existent in Hawaii. There are no exciting state lines to cross and you'd never be able to complete a successful round of the license plate game. Nonetheless, we're convinced that we've found a Hawaii drive that packs all of the best things about road-tripping into fewer than 65 miles. 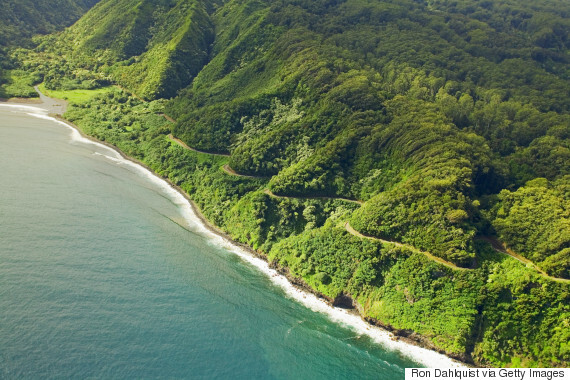 Maui's Hana Highway, also called the Road to Hana, is a winding, coastal road with jaw-dropping vistas, miles upon miles of lush rainforest and magnificent waterfalls around almost every turn. The simultaneous mountain and sea views of Maui's North Shore will keep your eyes delightfully occupied. Though the drive can be completed in a single day, the more time you have, the better. If you can, get an early start to beat the rush -- the extra time will allow spontaneity throughout the day. And believe us, spontaneity is exactly what you'll want when an idyllic waterfall or locally run shave ice stand calls your name from the side of the road. Beginning in Kahului, the route snakes along the coast around treacherous cliffs and over some 59 bridges, many of them just one lane. If you're prone to motion sickness, be sure to medicate before you leave, because some of the meandering highway's tighter curves can shake even the strongest of stomachs. Waterfalls on the Hana Highway are basically the equivalent of Starbucks in Manhattan -- there's one on every corner, it seems. 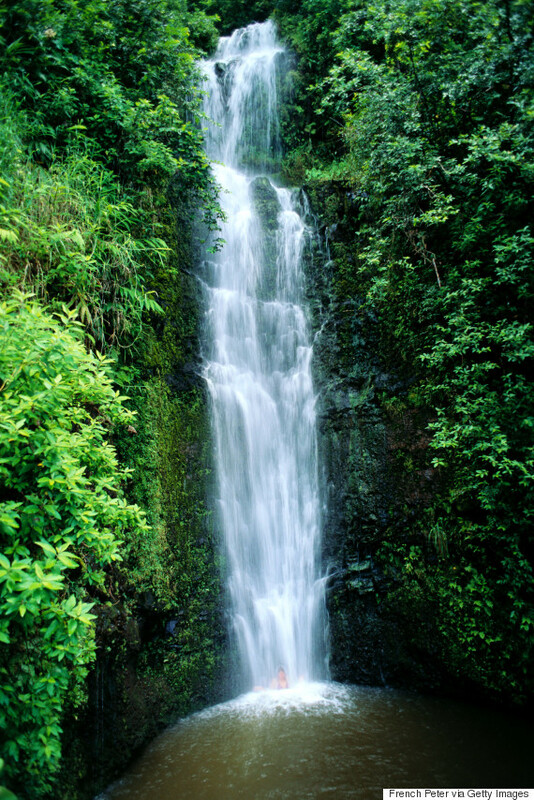 While every waterfall is beautiful in its own right, Twin Falls and Wailua Falls are favorites. Pack a swimsuit and prepare for the most refreshing dip of your life. By now, you'll likely find yourself in dire need of snacks. Good news: The Road to Hana might as well be called the Road to the Banana Bread of Your Dreams. Roadside spots like Aunty Sandy's will beckon you, and you'd be doing yourself (and your taste buds) a disservice to resist. Grab some fresh fruit and coconut candy and you'll be set for the rest of the drive. 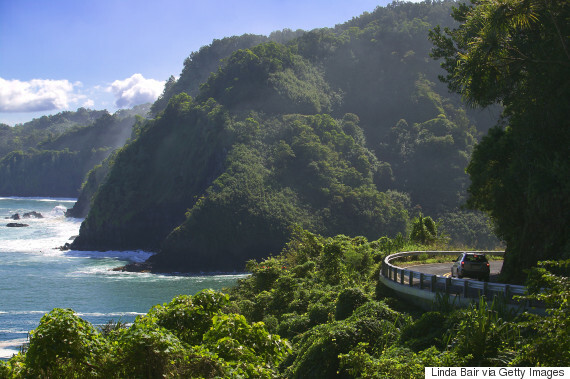 As is the case with most road trips, the journey to Hana trumps the destination. 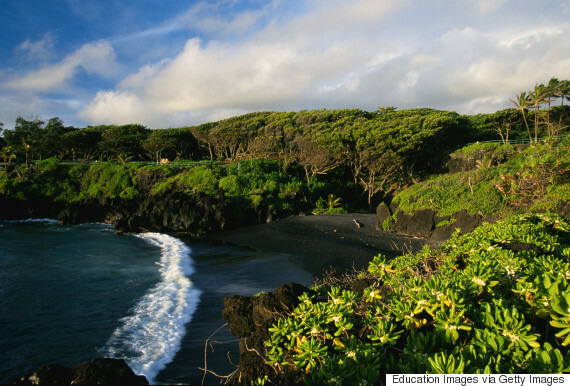 While in Hana, though, be sure to stop at Wai'anapanapa State Park to see one of Hawaii's famed black sand beaches, made up of tiny fragments of volcanic rock. The Road to Hana doesn't have to stop at Hana though. 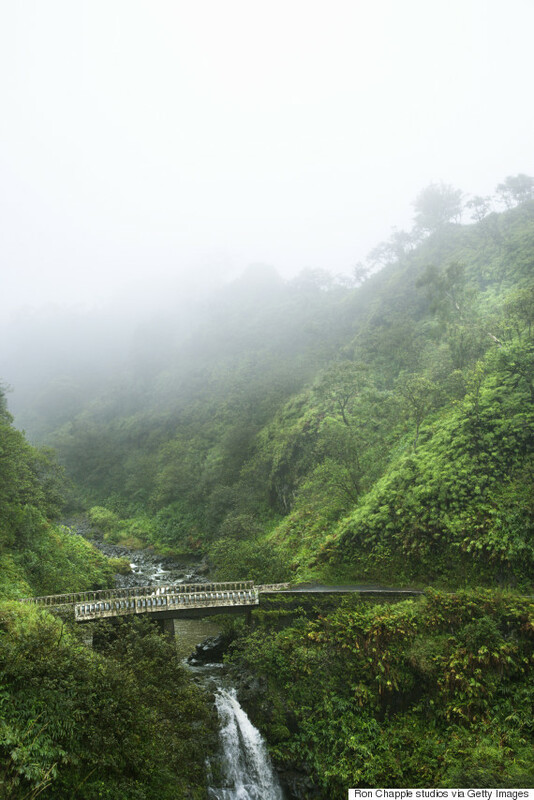 We'd recommend continuing twelve miles past Hana town, into the Kipahulu section of Haleakala National Park, where you'll find dense bamboo forests and Oheo Gulch, also known as the Seven Sacred Pools. Bring sturdy, closed-toed shoes if you plan to hike. 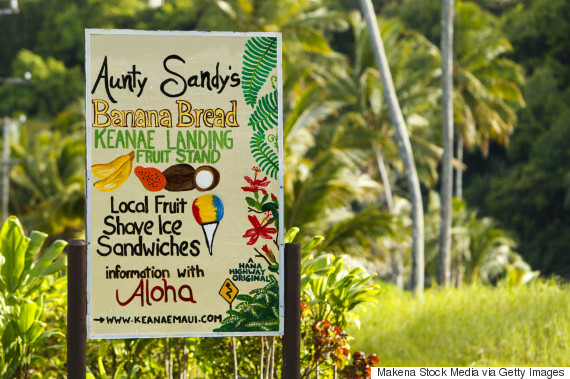 Correction: A previous version of this article stated incorrectly that Julia's Banana Bread is located on the Hana Highway. 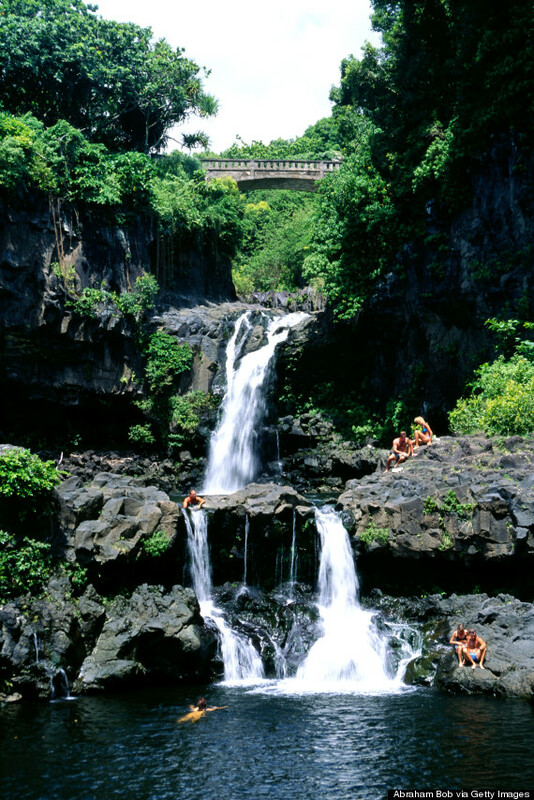 It is located on the Kahekili Highway.